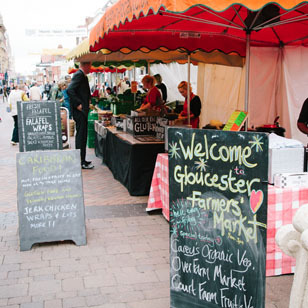 A new fun scheme is being launched at the popular Friday Farmers market on the Cross in Gloucester City Centre this Friday. 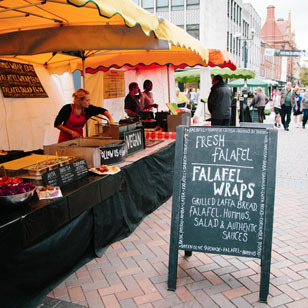 Market organisers will be running a monthly “raffle” stall with prizes donated by the traders at the farmers’ market. Local businesses have been invited to join in, with donations from The Crow’s Nest, Sugar Celebrations and Gloucestershire Arts and Crafts also being included on the prizes table this Friday. Every customer at the market who spends a minimum of £3 at any one stall will be given a raffle ticket which they can take to the prizes table to see if their lucky number has been attached to any of the day’s prizes, which could be some poultry from Madgett’s Farm, a plant for the garden, fruit or vegetables, breads, cakes; basically a selection of produce from whichever stalls are at the market on the day plus whatever has been donated by other shops and businesses. 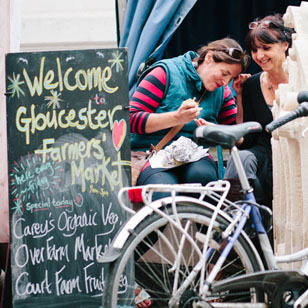 A centre for trade and commerce for over 2,000 years, hosts the weekly Farmers’ Market in Gloucester. Occupying all four of the Gate Streets the market has a fine range of local produce including a superb range of seasonal vegetables, a huge range of Soft Fruits throughout the summer and Top Fruit in the autumn, 2 local Bakeries, locally reared Meats, Poultry and Game, Goat’s cheeses, Eat Square Pies, Fresh Olives, Preserves, free range Eggs, a great selection of Street Food including Niang’s Thai Snacks, Za’Za Falafel and Marinades Caribbean, plus Plants for the garden. The market was established by the City Council in 1999 and has been operated by 3 operators in that time. 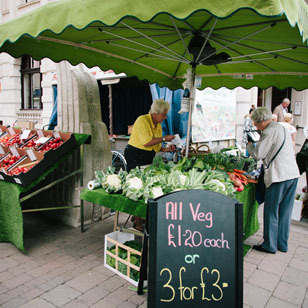 Fresh-n-local took on the ailing monthly market in 2003 and made it the first weekly market in Gloucestershire. After 2 years away we are delighted to to be back running the market. 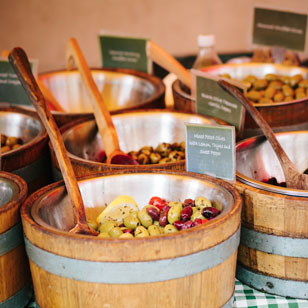 We are always looking out for new traders so any local producers should contact the office. 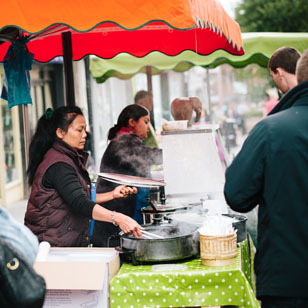 We also offer free stalls to local charities and community groups to promote their work (space permitting). 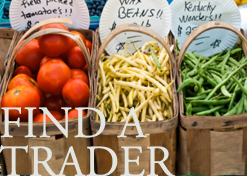 To find out which traders are at Gloucester Farmers’ Market, please click below.